A beautifully presented brand new book available documenting the development, launch and production of ZOBO – the Triumph Herald. Featuring over 150 rare period photographs, articles and memorabilia this Limited Edition 48 page book takes a look into the incredible journey of the Triumph Herald – against all the problems of suppliers, cashflow, management and disruption – the popular Triumph Herald came out on top! 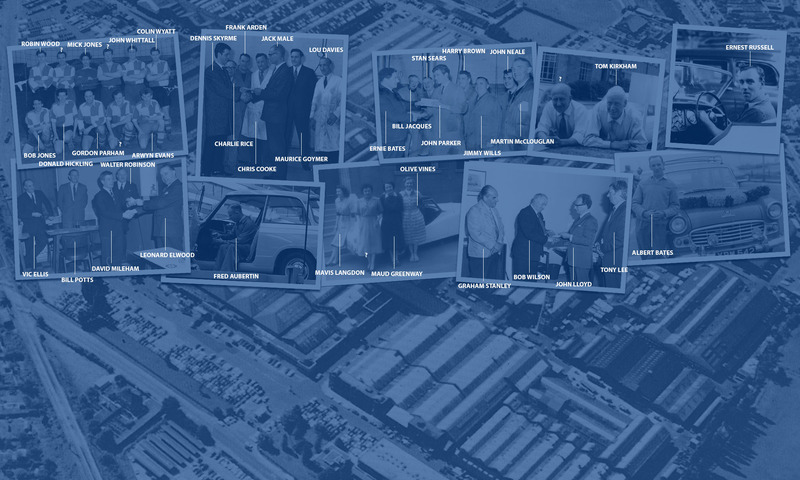 The book follows a month-by-month timeline from the initial concept through the first years of production and up to the takeover by Leyland Motors in 1961. 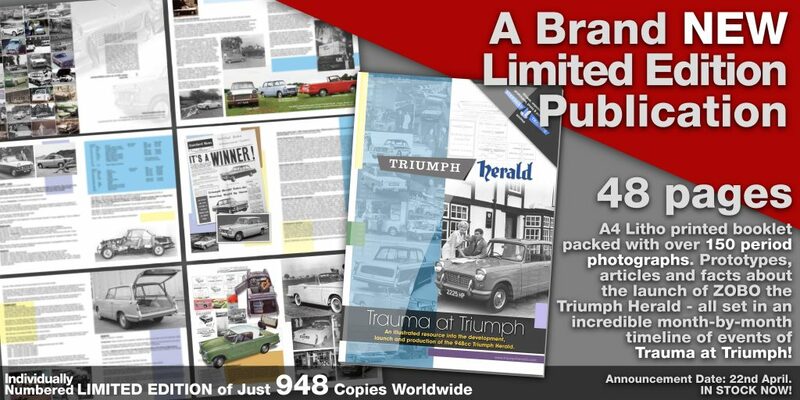 Featuring key dates and cars this is a fantastic resource and must for fans of Triumph and the Triumph Herald. 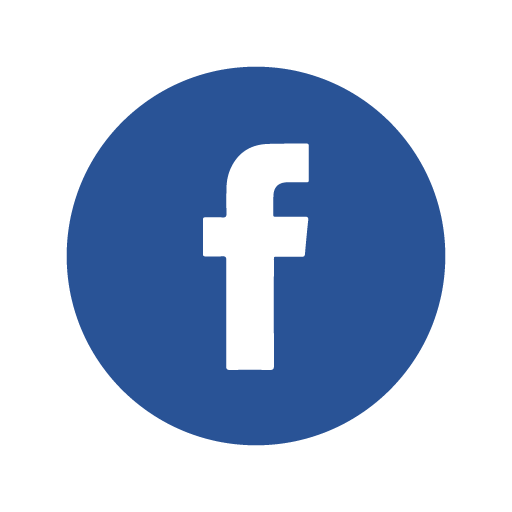 Limited to just 948 copies worldwide. In stock and available NOW! Once sold out it will NEVER be available again.